The click to dial integration makes outbound dial capability possible with many applications. 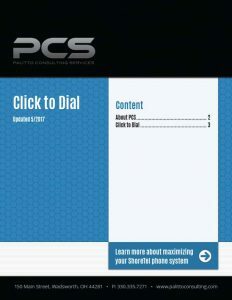 Click to dial is accomplished using our PCS Universal Dialer technology. The Universal Dialer application uses sensing technology our team developed which looks at pixels for number recognition instead of phone number text fields. An additional option is to configure a screen pop a window for the dialed contact within any application.